We are one of the leading Manufacturers, Exporters and Suppliers of Plastic Plain Cards in Delhi. At our state-of-the-art manufacturing unit, we produce these cards using fine quality of plastic. White in color, these can be used for several purposes as one has the liberty to customize them. 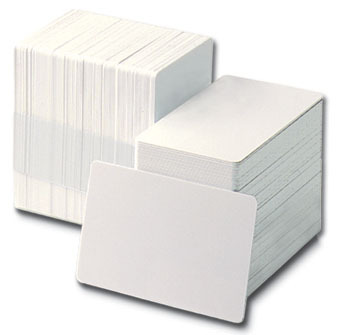 Our Plain White Plastic Cards are immaculately designed and are quality assured products. They can be made in different sizes and surface finishes as per your requirements. We are capable of producing bulk quantities of Plain White Plastic Cards, so you can place an order for any quantity, even on short notices. With a far-reaching distribution network, we are able to meet the orders from overseas clients as well, without compromising on our efficiency. It is always ensured that the consignments are delivered at your doorstep, within the defined time limits. Furthermore, Plastic Plain Cards can be bought from us at very reasonable prices.